Very few people understood in the past 3 or 4 decades, that by 2020s credit cards would stand up for the position of ‘the broadest form of credit line’ in the whole world. Those who invested in credit card issuing companies in the 1970s or 80s, are probably the winners now. Credit cards are everywhere, where ever you will look I suppose. They are accepted nearly any place you go, have wonderful domestic and international facilities, come with awesome rewards, and interest rates that are pretty manageable if you are not careless. It is, therefore, essential for you to know, how to make the most out of credit cards in the best ways possible. Also, it’s important that you start switching to credit cards from other debts, for most of the credit-related activities you do. If you just ask yourself, what are the things you can’t buy with a credit card, the answer will probably be ‘nothing’! From daily goods to paying bills, to buying costly electronic goods, and anything you name. The current buying power of a person is dominantly defined by credit cards. Personal loans, prepaid loans, and even payday loans have very limited use these days! Credit card is the new modern age credit station you should already tune into. Debt Consolidation Care, the primal host of online debt community,has been figuring out lately, in a research work, that how credit cards are taking over the world. We believe as financial advisors of this esteemed debt community, it is our duty to convey the message to the general public, that it’s high time to choose credit cards over other debts. The post will be reviewing why use credit cards, are credit cards good, what to use credit cards for, and most precisely how to use credit cards in the best ways! Keep reading, to become a wise credit card user, and your comments in the Disqus section, down below, are highly useful for our community’s development. You can also communicate in our open forum group, by being an active member of the community. 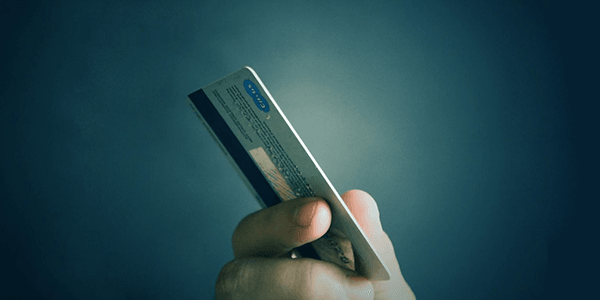 Why use credit cards instead of other debts, and what to use these cards for? Secured loans like mortgages or car loans are precious and unique in their own way. Nothing can obviously replace them and take up their role effortlessly. Property loans are one of the oldest forms of debt that this world has encountered. You can definitely not use credit cards to buy a house or a car! But, you can definitely pay these loans off with a credit card! That’s a top-notch credit card usage I just gave you at the start of this section. Keep this in the head! Credit cards have a great deal of presidency in managing day to day lifestyle costs. They look vibrant and feel vibrant to swipe at counters. For every single purchase, you have high chances of getting reward points, which can also be deemed to get discounts on your next purchase. I really don’t get the point of using payday loans, when you have one or two credit cards in hand! I mean why use a payday loan? It’s like borrowing a few hundred bucks, and then returning the money back with heavy loaded interests, where rates can shoot up to even 200% or 300%. On the other side of the coin, credit cards carry a minimal interest rate which is surely nothing in comparison to that of payday loans. So, you now have a nice reason for why use credit cards instead of payday loans. In fact credit cards have the power to replace nearly all type of consumer credits, given their capacity of making a cash advance! But, using credit cards for taking out cash can get costly, as interest starts to accumulate on the loaned amount on daily basis. Also some credit companies can charge a cash advance fee. Therefore, use this function only for emergency purposes, and be sure to repay the amount as soon as possible. People take out personal loans to cater very high-end confidential costs. Some use them for building a startup, some for an occasion and trip costs, while some use them to make up for many utilities oriented costs. Credit cards may be a good try to reduce personal loan amounts if you can mostly use the cards to cover up costs, for which you are about to borrow a loan. But one instance, where personal loans beat credit cards, is the latter typically have higher interest rates than personal loans. But, if you have a very poor credit score, then there’s barely any difference between the two interest rates. Here, I want to say something. Personal loans could be said the first form of credit invented by mankind. Later the concept of collaterals and securities developed, and secured loans took shape. So, no matter how smart credit cards become, it can never compensate you for the amount that personal loans deliver, unless you are a tycoon, and own a series of platinum and centurion cards!! You can never buy a house or a car using your credit card. But, you can completely pay these loans off with your credit card. Many lenders and credit card issuers allow paying off secured loans using your credit card. This will surely be an electronic payment, but this is one good way to manage secured debts. At times, people suffer a lot under the burden of these secured debts, and that’s when they start to take out payday loans or personal loans to pay them off. But, that’s a big mistake, as you would divert from the original secured loan terms and tenure. And, would then have additional debts to pay off! It’s always better to stay put to the monthly payments designed as per the original secured loan terms, to pull a maximum profit. This is where credit cards will help you to maintain the monthly payments, those you might otherwise skip due to lack of cash in your bank accounts. There are numerous third-party services too that can help you out in making payments with credit cards. It’s better you talk with both your mortgage/auto lender and the credit card issuer, to know how to make the monthly payments with credit cards. So, that was one big fat part on how credit cards help you better than other debts. Now, credit cards can also become a troubling loonie if you don’t know how to take care of them. Remember, the highest number of consumer debt accounts to credit cards. You better be careful!! If you plan to solely rely on credit cards in exchange for any debt, then you should practice caution, as huge debts on credit cards are very dangerous to get rid of! Interest rates on credit cards might be low, but once you skip a payment, their real face comes out. Interests on due amounts start to get accrued on a daily basis compounding. Within no time, the due balance will gain 50% of its own amount! Then you will be left with a scratched credit report, decreased credit score, and a violent maxed out card. Reward point is a big factor when you use credit cards for making monthly payments on mortgages and car loans. Most of the times you will have to take help of third party service providers to make payments with credit cards. These companies will charge you a certain fee based on the payment amount. If these fees exceed your reward points bonus, then it’s no use in paying with credit cards. You should be able to make some profit or gain cashback while making such hefty payments with credit cards! I am not asking you to settle your debts, as you might be against it, because settlement does hurt your credit report and score. But, choose debt consolidation instead. While having multiple debts, consolidation will help you to make only one monthly payment for all your debts. It also has the power to give a boost to your credit score, as in the end, you are paying off your debts in full. You can also make use of balance transfer, where you will bring all of your credit card debts into one new credit card. Choose whatever you may, but consolidation is the real art of paying off debts! You can be sure about that! Credit cards in the future will get more efficient, and people might actually start to use them for nearly everything financial. Hope you enjoyed going through this post of ours, and won’t ask again whether or not credit cards are good. Keep all the points, I have discussed, in mind, to switch to credit cards efficiently, rather than using itchy loans and other types of debts.